Christmas is 6 weeks away……this needn’t bring sweat to your palms as I have some ideas. Now we are all in different situations financially, and we all have different amounts of children and people to buy for at Christmas!! So I will give you a few ideas to have a look at anyway, Layby is an option I often choose as I do not have money lying around all of the time (dreams are free!). In our family we usually do a secret santa for the adults with a price limit of $40 or $50 that way everyone gets one nice gift and we all get the children a present each. BUT I must stress that we are not a big family – I do not have masses of nieces and nephews to buy for (and I wouldn’t if I did!). 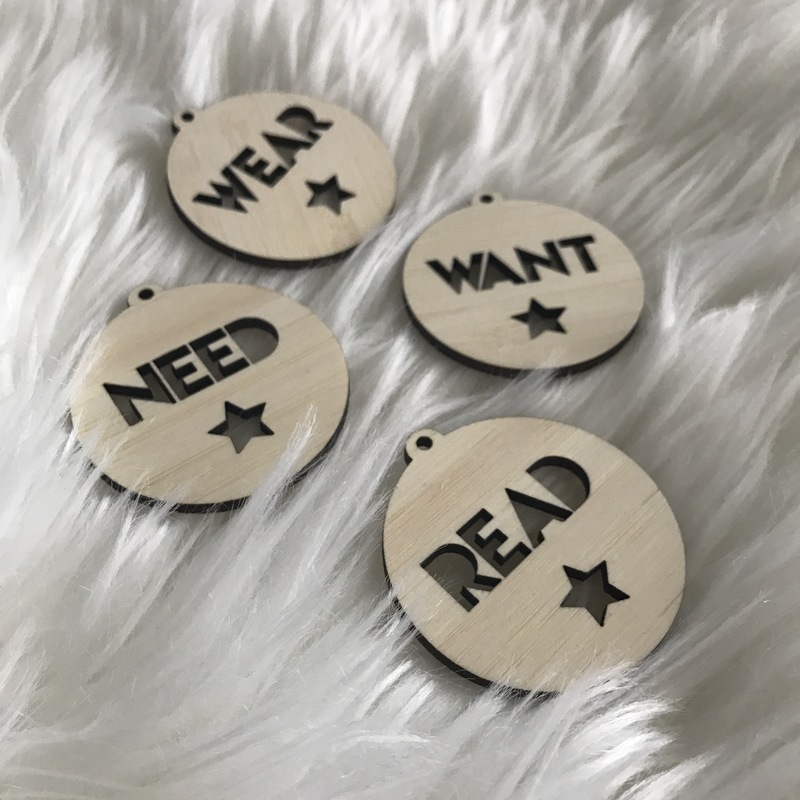 For my own children I am going with the ‘Want’, ‘Need’, ‘Wear’ and ‘Read’. As I buy things all year around I have made Christmas about Family getting together more than presents. I know that a lot of people do not buy things so often throughout the year and Christmas is about both Presents and Family !! And that is fine too !! I am just explaining my minimalist approach to Christmas for my families Christmas. I have purchased these wee gift tags above from Love From Seventeen which are for our children’s gifts – and they which I will reuse every year and they will go into our Christmas Box which is from Keeps and is a beautiful keepsake that will be treasured for years to come. Now I could list EVERYTHING I am getting my kids but that would take up your whole evening to read it. And this isn’t about me ……. Instead I will list some cool present ideas. I will be listing only one or two items per store but I urge you to check out the rest of the items on their websites as there is so much goodness to be found ! Now I do not do ‘Elf on the shelf’ elves as they freak me out (you know the little creepy ones 😂) BUT this is my version !! 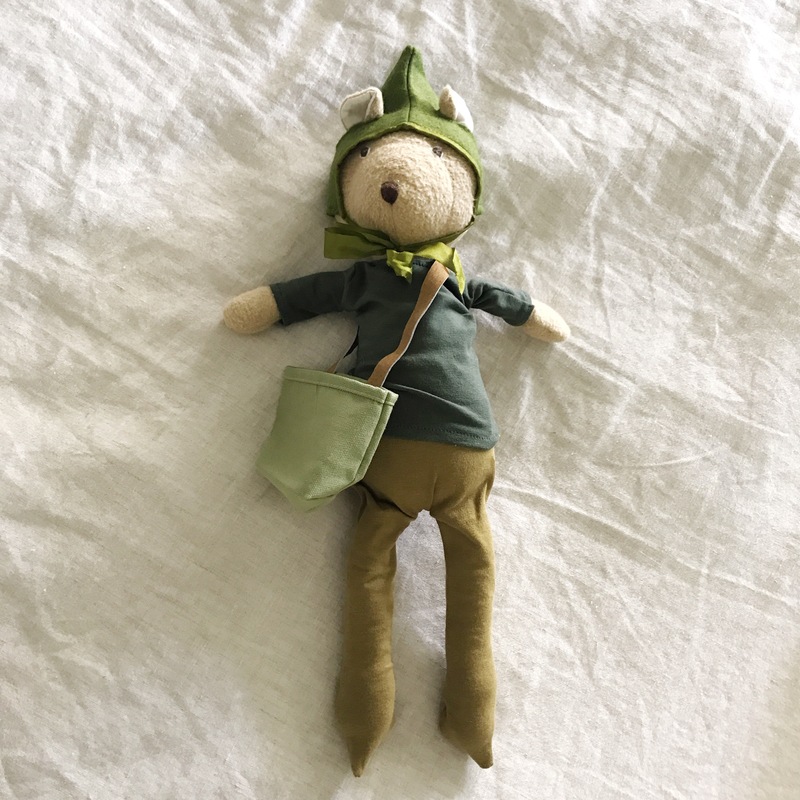 This is a Hazel village friend from Dapper Mr Bear wearing the Elf Costume you can also get. The Elf costume will be put in our Christmas box and pulled out year after for a fun family tradition. AND these two produsts below are simply beautiful – timeless and neutral……. I am pretty excited that ooh-noo is coming to Dapper Mr Bear – all of the details for the above two products are here. These Eye Spies from The Wooden Toy Box are so flipping cool, I remember as a child having one similar to this ! And I LOVED it !! They are wooden and for $5 each I think they are rad……..! They have a large range of toys to suit many budgets. Now I have posted about these Grimms toys before (but truly) these beautifully crafted wooden toys are the most played with item in our home. 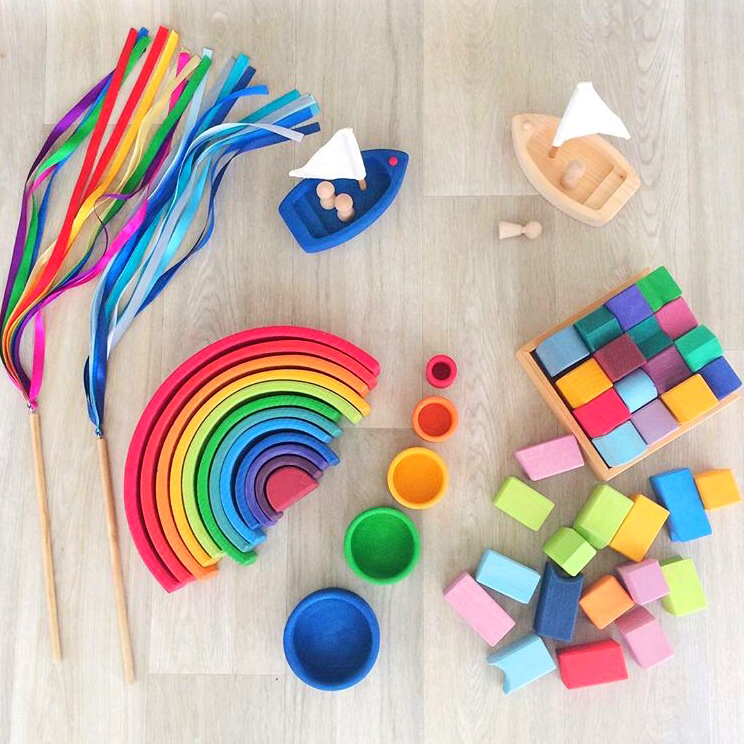 Not the cheapest items however they have been worth 10x that in play time – and they are only a less than a year old, there are many more adventures to be had these babies as the kids get older! They are all available from The Fine Toy Co . This beautiful creature above is Florence Bunny she is absolutely divine and would make an extremely special gift. She is available from Beau Monde Babe. Along with many beautiful items for your children to wear like this beautiful piece below by Tutu Du Monde is incredibly beautiful – and available here. Now these are on my wishlist !!! I am a horse lover – and these are beautiful !!! Available from Little Whimsy along with many other cute and different present ideas. Do your kids need hair ties (Cora’s favorite ones are from here) or do your kids need a book bag ? These Beautiful ponchos for the beach and pool this summer from Ottoloom are devine !! Custom made for Ottoloom using their hand loomed Zanzibar weave with 100% GOTS certified organic cotton, they are a ethical and planet friendly choice ! I am going to post a few ideas for us because we are so awesome and deserve a wee something too. This currently happens to be on sale (Dearest Husband please take note) But this Ottoloom towel is on my want list !! Now I have just run out of my stash of this The Skin Kitchen Detox Bath Salts from Do No Harm – and it is such a beautiful product that I am hoping it ends up under the tree ! !